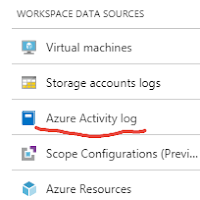 To use this solution, please connect an Azure Subscription for collecting activity logs. 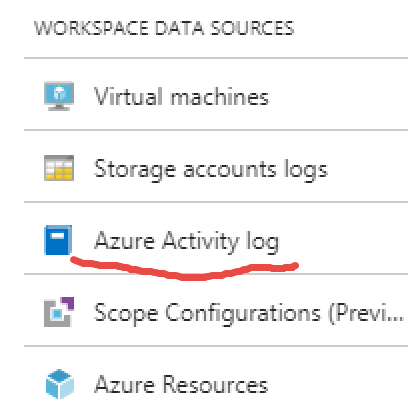 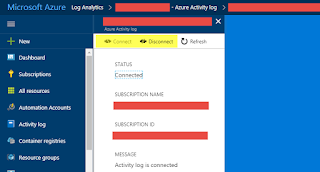 A subscription can be connected using the activity logs blade of a workspace in the Azure portal. 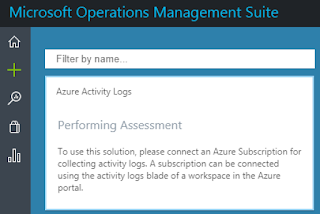 This messages is shown even if you just enabled the solution and OMS is getting things ready. 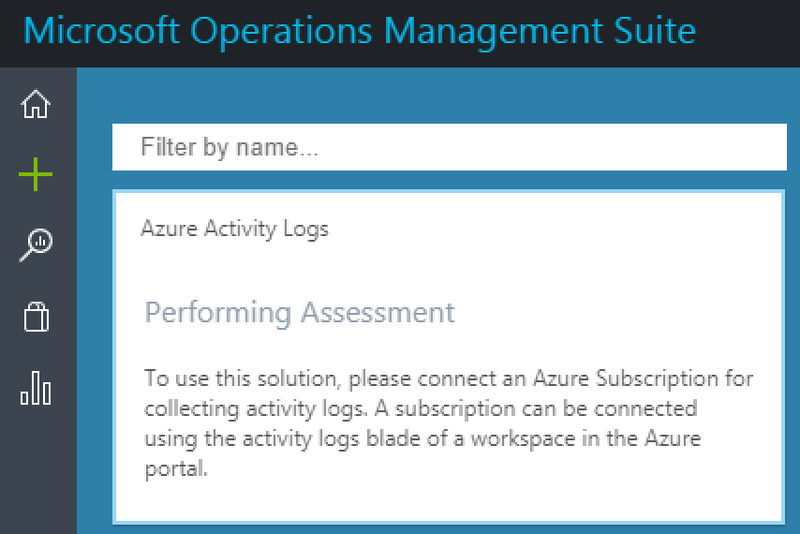 But you might, like I, start doubting if the expected subscription is actually connected to the OMS workspace. 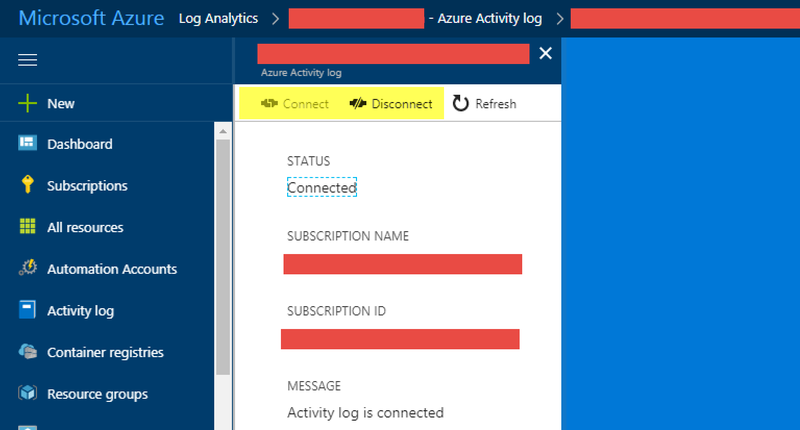 Finally you will be presented a list of subscriptions showing if the subscription is connected or not.